Much buzz around the next major release of Windows has centered around the controversial ribbon interface for Windows Explorer. However, no ribbon appeared in a sneak preview of Office 15--World, Excel, PowerPoint--that Microsoft gave this week in a video about developing Windows On ARM (WOA). 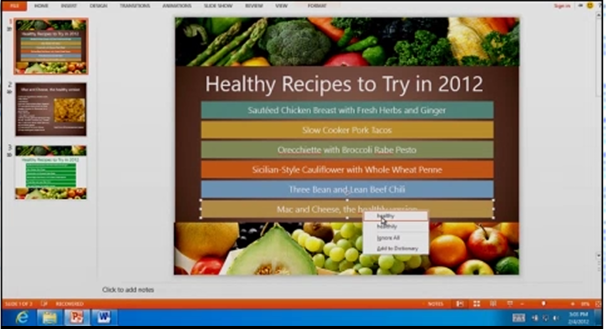 The examples shown were early desktop versions of Office 15--not in the style of the Metro interface that appears in Windows 8--which may explain the absence of the contentious ribbon design, and provide a hint of what to expect in the next productivity suite. Microsoft is heavily stressing a few things here--mostly that WOA is heavily integrated with the hardware it will be available on--meaning tablets, currently in development by NVIDIA, Qualcomm, and TI. Also, much of it will work exactly the same from tablet to desktop, with the photos, calendar, mail and contacts functions all performing identically across hardware formats. This also means the code itself overlaps quite a bit; indeed Microsoft has said there is “very significant shared code.” Microsoft says Office 15 itself will be “significantly architected for both touch and minimized power/resource consumption,” while still maintaining the full array of features that consumers have come to expect. The brief glimpse of Microsoft Word shows a crisp,clean interface. 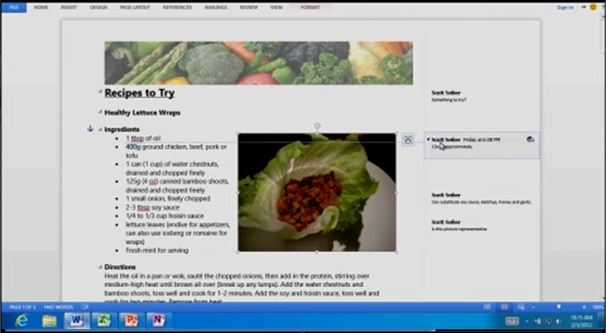 Based upon a brief view of Office apps in Microsoft's preview video, the visual difference from Office 2010 to what's now dubbed Office 15 appears prominent, with little indicating that the ribbon toolbar introduced in the 2007 edition will be incorporated. 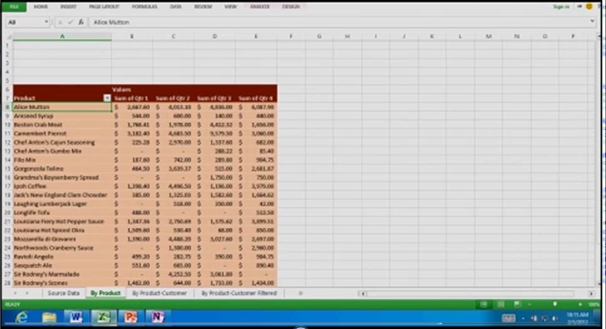 Images of Office software in Microsoft's preview video lack a title bar, which appears cut off and keeps us guessing, but they do display a clean interface with an increased use of white space throughout. The PowerPoint preview gave the impression of an intuitive design. Menu categories near the top of the Office screens also appear in all caps. And most items are where you expect them to be--at least so far, in this early stage. The ribbon is one of the most loved and hated features in recent memory, and it seems unlikely that Microsoft will choose to abandon it despite user outcry. It will be interesting to see if the Windows 8 Metro interface sneaks out as more demos are released. If it works as well from desktop to tablet as Microsoft is claiming it will, it could cause some serious (and needed) waves in the tablet market. What we're seeing has the potential to be very exciting, and it's what Microsoft has yet to show us that keeps us eager for more details. The ever-familiar Excel spreadsheet looks clean and mostly unchanged.